Codoping of Ce-doped LaBr3 with Ba, Ca, or Sr improves the energy resolution that can be achieved by radiation detectors based on these materials. Here, we present a mechanism that rationalizes this enhancement on the basis of first-principles electronic structure calculations and point defect thermodynamics. It is shown that incorporation of Sr creates neutral VBr-SrLa complexes that can temporarily trap electrons. As a result, Auger quenching of free carriers is reduced, allowing for a more linear, albeit slower, scintillation light yield response. 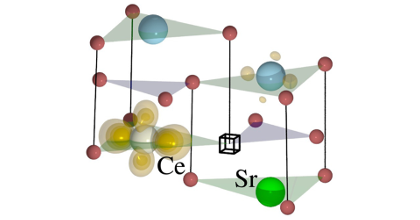 Experimental Stokes shifts can be related to different CeLa_SrLa-VBr triple complex configurations. Codoping with other alkaline as well as alkaline-earth metals is considered as well. Alkaline elements are found to have extremely small solubilities on the order of 0.1 ppm and below at 1000 K. Among the alkaline-earth metals the lighter dopant atoms prefer interstitial-like positions and create strong scattering centers, which has a detrimental impact on carrier mobilities. Only the heavier alkaline-earth elements (Ca, Sr, Ba) combine matching ionic radii with sufficiently high solubilities. 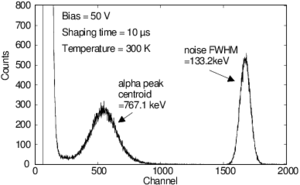 This provides a rationale for the experimental finding that improved scintillator performance is exclusively achieved using Sr, Ca, or Ba. 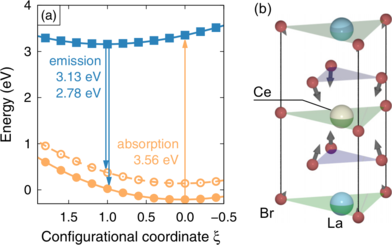 The present mechanism demonstrates that codoping of wide-gap materials can provide an efficient means for managing charge carrier populations under out-of-equilibrium conditions. In the present case dopants are introduced that manipulate not only the concentrations but also the electronic properties of intrinsic defects without introducing additional gap levels. This leads to the availability of shallow electron traps that can temporarily localize charge carriers, effectively deactivating carrier-carrier recombination channels. The principles of this mechanism are therefore not specific to the material considered here but can be adapted for controlling charge carrier populations and recombination in other wide-gap materials.